Home Zagg Registration Zagg Com Register: How You Can Register Your Product at www.Zagg.com/Register? 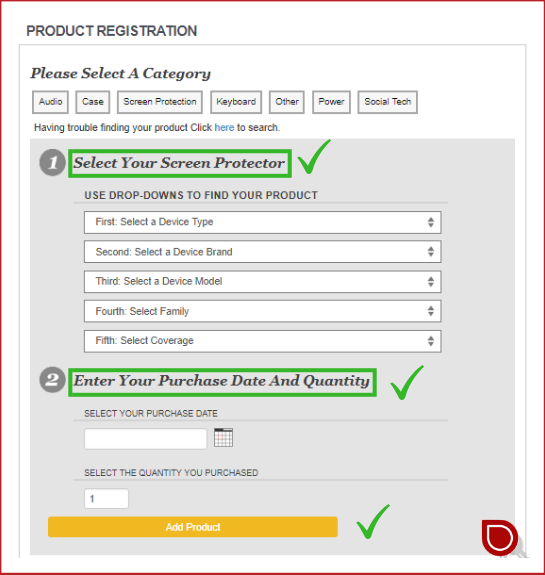 How you register your product with Zagg Com Register? Why do you need to register a product with Zagg.com? What are the benefits you will get after registration? When there is no need to register your product with Zagg.com? You need to register your product with Zagg Com Register when you want to make a warranty claim for your product. When you are not satisfied or your product is damaged and you want to replace your product with a new one. Well, the good news is that Zagg doesn’t charge you any price for your replacement. You just need to pay the shipment bill for your product. That would be around $10 to $12. 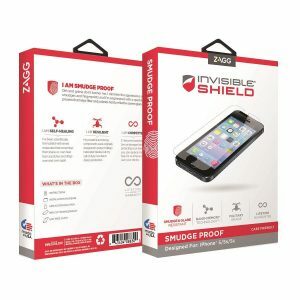 How You Can Claim Zagg Replacement For Your Zagg Product? You can order the online warranty replacement 24/7. You can register any Zagg product purchased from anywhere else. Able to track the shipments. When You Don’t Need Zagg.com/Register? When you buy a Zagg product online there is no need to register your product again. Usually, we register our product at zagg.com/register to get a warranty replacement for our product. When you buy a product from an online Zagg store. Your order number is used for your product replacement. so you don’t need to register it again. You only need Zagg registration when you buy a product from an offsite reseller. You can also replace your product from participating franchise, but they may charge you a small fee for replacement and installation. Visit the Zagg registration page. You will see a landing page like this: Provide your email in the green highlighted box. Now press continue button to proceed to the next page. In the next step, You need to create an account on Zagg Com Register. Provide all the information mention in the picture here. After you enter all the information correctly and also check both options. 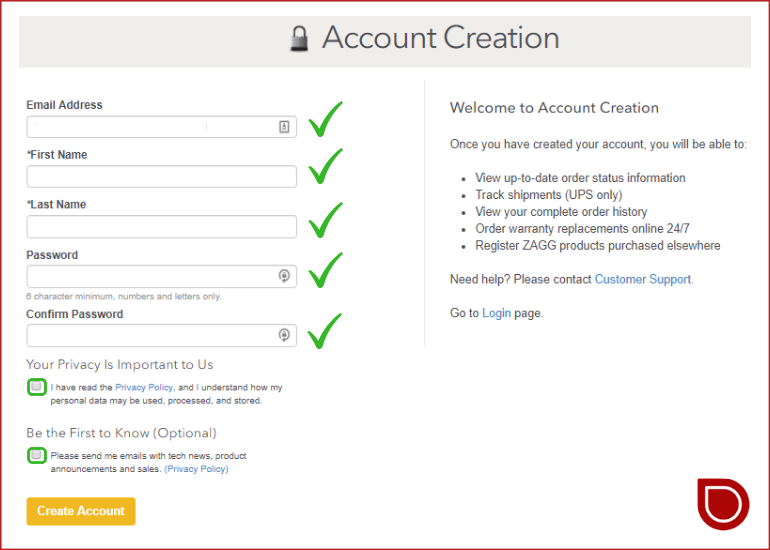 Now Click on the yellow button to create your account. Finally, your account is created. Now click the highlighted button of register a product. After you click the button a new window will open & you need to complete all the information asked in the form. Now! you need to find out your product from the drop-down list. Also, select the Quantity of your product. And finally, click the yellow button to Add your Product. Now your product is registered with Zagg Com Register. You can also register your new product with Zagg.com. I just want to register for the life time warranty and it keeps giving me the reasons why but I can’t get to a screen to fill the register out. Thanks, Tom for your comment. Maybe you have some verification issue no your Zagg account! check your mail for access verification on your account. And if you are facing the same problem again. you can visit their contact page and share your problem directly with the company customer care services.